Oklahoma residents can play poker in multiple tribal-owned brick-and-mortar casinos but there are not any sort of domestic state-licensed online poker sites authorized at this time. OK residents can find legal online poker gambling through licensed and regulated offshore sites which offer multiple poker variations, bonuses, tournaments, perks, and more. Our team put together this guide for state residents to learn about which licensed offshore online Oklahoma poker rooms are available to them, along with information on the state’s track record with poker, local gambling laws, and much more. Will I Be Violating OK State Laws By Playing Poker Online? Residents are not in violation of Oklahoma gambling laws by using licensed offshore poker sites since no local gambling law directly prohibits their use. The Federal government also does not prohibit licensed offshore poker sites, affirming their legality. However, domestic state-based online poker sites are illegal due to lack of legislative authorization. Oklahoma has had the opportunity to pass domestic online poker gambling platforms since 2011, when the DOJ revisited the Wire Act. Upon the DOJ’s new interpretation of the Wire Act’s prohibitions, many US states were permitted to offer domestic online casino and poker gambling. However, OK never moved on this but hopefully, coming legislative sessions will bring a change to this. Where Are The Best Places To Play Online Poker? The table below provides sources for top-rated licensed offshore poker sites. Our team has uncovered their legality, features, bonuses, security protocols, banking suite, and more through a stringent screening process. These sites are reliable, safe, and trustworthy online poker sites OK players can legally use. Is Social Poker Allowed In Oklahoma? Many people think they can just host a poker game at their house with no issues, however, this constitutes something known in the eyes of the law as social gambling. Oklahoma gambling laws provide no exception for social poker games, technically making them illegal. While, the odds of authorities coming to an OK player’s house and arresting them are slim, it has happened before in the state. Where Is Live Poker Allowed In OK? Have There Ever Been Any High Profile Arrests For Illegal Poker In OK? According to a report from local news outlet “News on 6” in 2013, an undercover officer was in attendance at a poker tournament that was supposedly free. At one point, the tournament organizers asked for money in order to receive chips, at which point the undercover officer made several arrests. The report detailed that the bar at which the game was held and the 47 players that paid for chips could technically face charges, but none were pressed. Can I Play More Than One Poker Hand At The Same Time With Online Poker Sites? The ability to play more than one hand at once is a cardinal feature of our recommended licensed offshore poker destinations. With more hands in play, a player’s odds of winning greatly increase. There are rarely limits on the number of hands players can play. The user-friendly game interface makes it easy to toggle back and forth between hands, thus ensuring accurate tracking of each game a player is in. 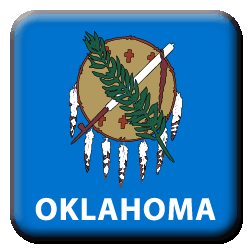 Domestic online poker in Oklahoma is a possibility. The state legislation has had the option of putting out legislation that would usher in legal OK based online poker sites since 2011. Any domestic online poker offerings would likely be in conjunction with existing tribal-run land-based casinos. As of now, the state has yet to introduce any bills regarding domestic online poker, leaving licensed offshore operators as the primary legal online poker option. Was There A Tribal Run Poker Site Operating In Oklahoma? Yes. In 2013, the Iowa tribe launched a poker site known as pokertribe.com. Their assumption was that their state-tribal compact authorized them to offer online poker gambling. The state fought back against this site and the case went to court. Eventually, the case was resolved by the US District Courtin Oklahoma City in March 2016. The tribe won the right to offer free poker games to US residents and real money poker games to international players outside of the US. However, the Iowa tribe sold the rights to the website to Monster Products Worldwide. If domestic online poker is ever legalized in the state, pokertribe.com may be one of the first available sites. Licensed offshore poker sites host multiple bonuses for OK players. These bonuses, commonly known as Poker Bonuses are often disbursed incrementally, meaning it takes more hands to accrue more of the bonus amount. Other available bonuses include Welcome Bonuses, Reload Bonuses, Cryptocurrency Deposit Bonuses, Free Chips, tournament-related bonuses, refer a friend bonus, and mobile user exclusive bonuses. All bonuses found online come with terms and conditions which must be agreed upon and understood before redeeming. Do Online Poker Sites Host Tournaments? Yes. There are poker tournaments conducted on a daily, weekly, and monthly basis. Action can be tracked through the corresponding leaderboards. Tournaments fluctuate with buy-ins, the number of seats, game type, etc. Some tournaments offered on licensed offshore online OK poker sites allow winners to qualify for in-person live poker events. Tournaments are also popular with other licensed offshore OK online casino games, and OK online bingo sites.